The manner in which an office is arranged immediately sets the tone for the experience that is to follow, to be sure. 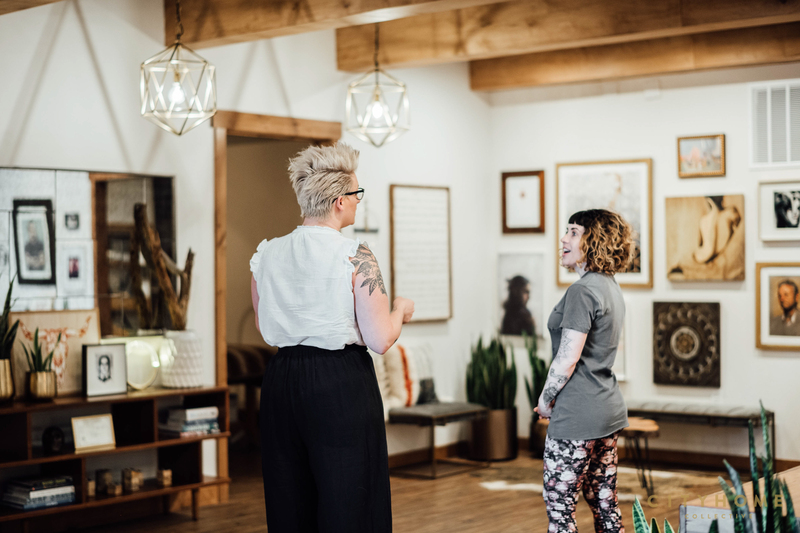 The smells, sounds, and placement of the furniture all equally contribute to a spatial-personality of sorts, which, in turn, relays the skinny on where your money is going and what you’re going to be getting in return. 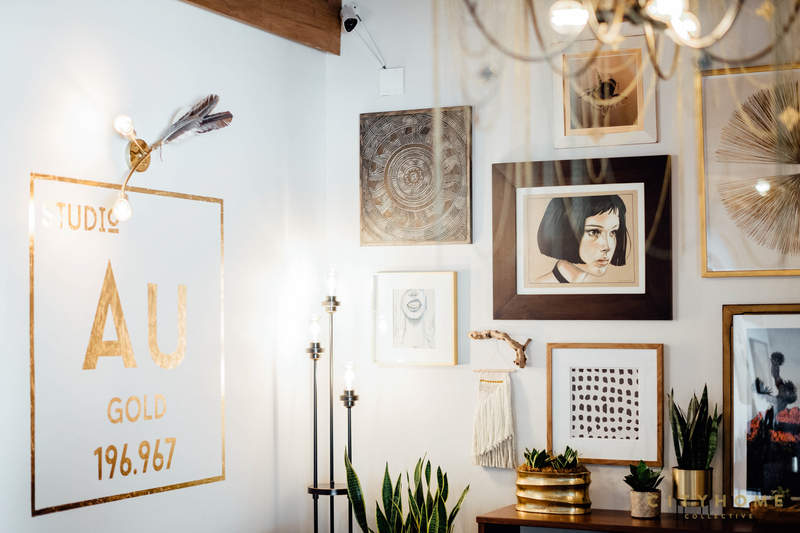 Studio Aurum, a quaint and spectacularly arranged spot tucked downtown on 2nd East, is no exception to this sentiment. 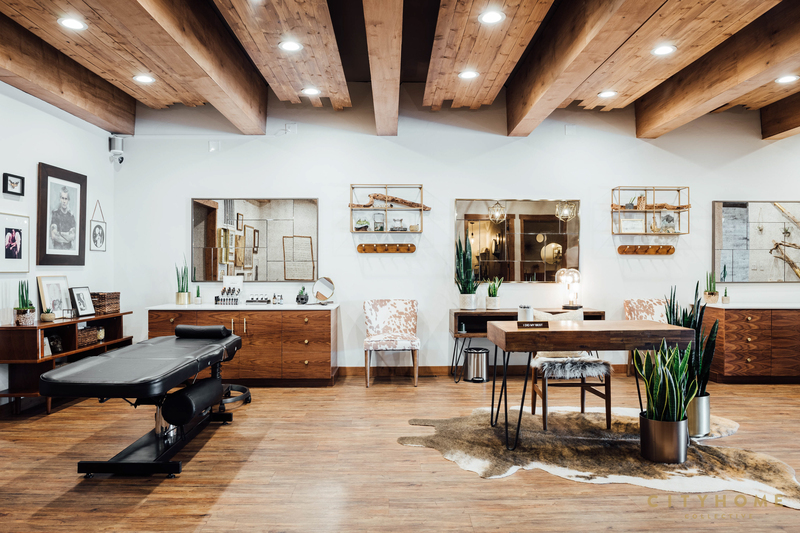 In Aurum, Nicole Callister - a master aesthetician of twenty years - has created a space that adeptly reflects the intentionality and dexterity with which she conducts her work. 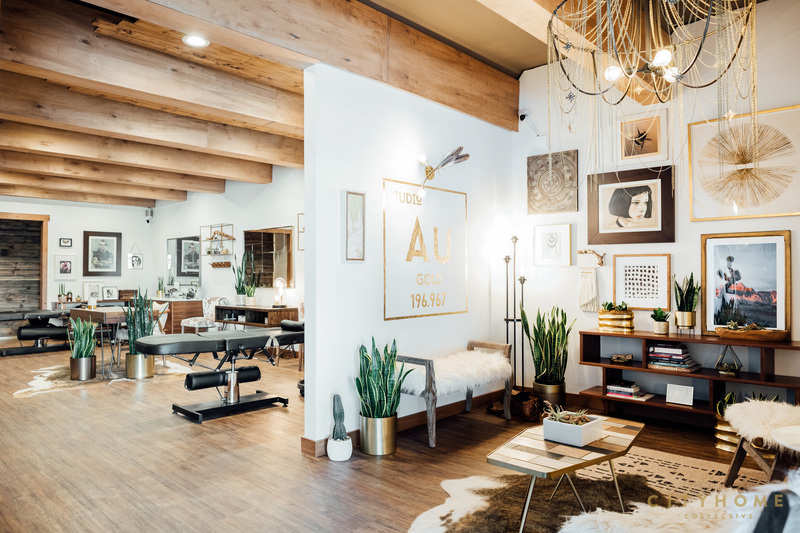 From the vintage furniture draped with faux furs to the portraits of Henry Rollins and Bill Murray carefully hung on the walls, every inch of this spot exudes fastidiousness, and the cosmetic services rendered at Aurum assuredly follow suit. BEAUTIFUL SPACES FOR BEAUTIFUL FACES, INDEEd. 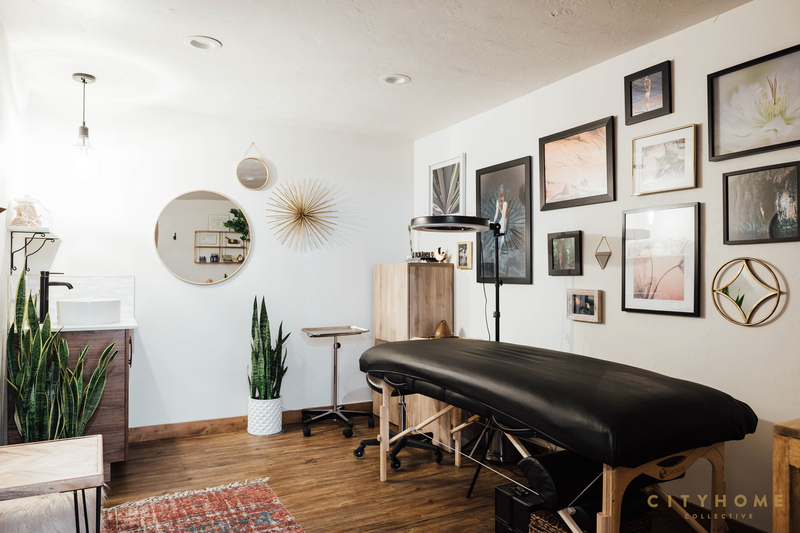 It’s no small feat that Nicole has her studio looking so sweet. 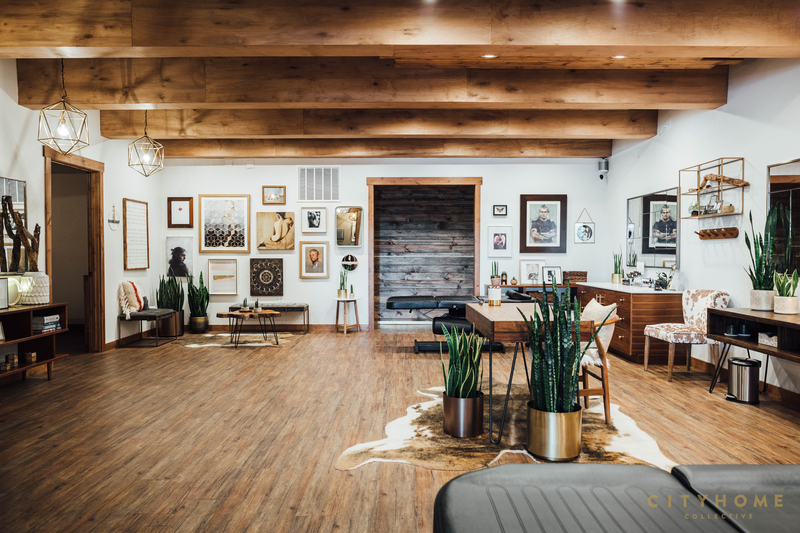 Prior to Aurum, the office in question sat empty for over eight years and, consequently, was in dire need of little love and a lotta’ elbow grease, however, Nicole’s vision superseded the asbestos-riddled ceilings and absent plumbing. 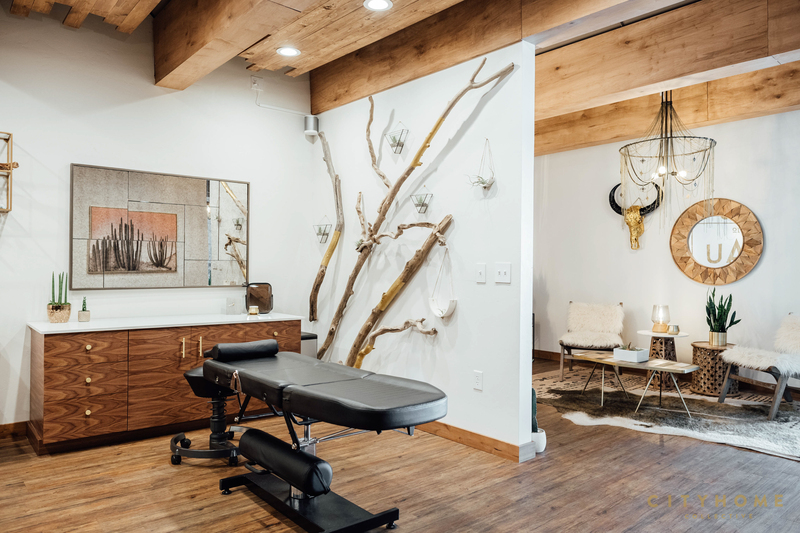 With the help of family and friends and many hours of hard labor, the studio came together exquisitely. 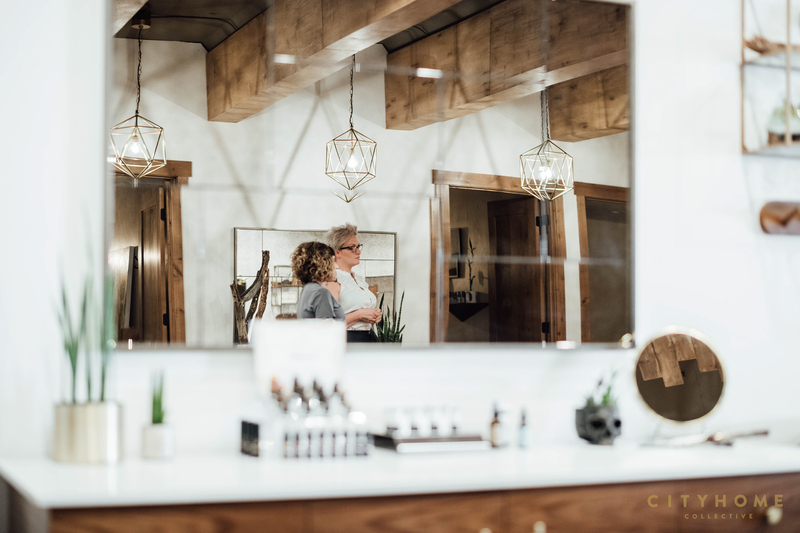 And, with the digs all squared away, Nicole and her crew have been busy gifting reprieve to victims of the over-plucked skinny brows of the 90s for over a year now. A labor of love, no doubt. 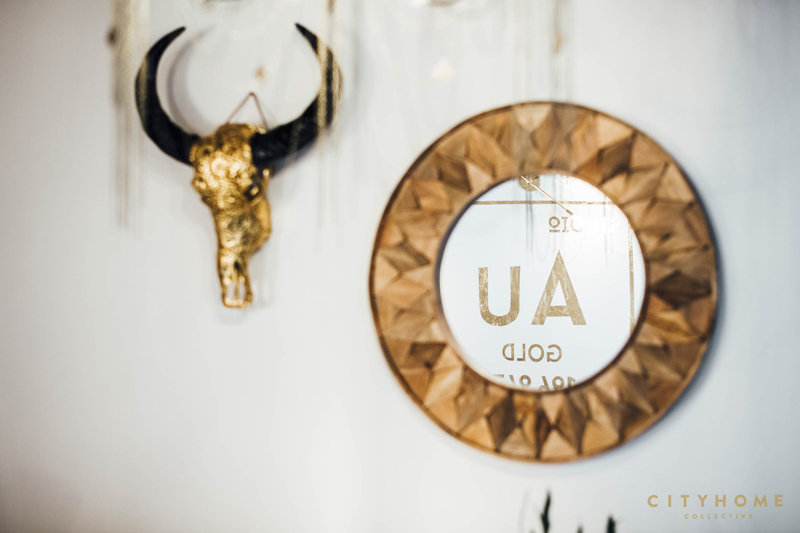 As much as Aurum is about providing top-notch brow threading and-the-like, it’s also a convergence of beauty, art, and design, and with Nicole at its helm, it’s a place where conversation, customer service, and aesthetic are considered sacred. Just as they should be.